Imagine building a huge mansion. You are so proud of it with all of its glory! So much time and hard work has gone into creating this home. The only problem now is, there are no roads leading to it. The same holds true for your website. A business owner can have a powerful and innovative website, but if people using search engines such as Google, Bing, and Yahoo cannot find your site when they search, it could make things quite frustrating. Our Search Engine Optimization (SEO) Specialist works diligently to strategically place your website at the top of search engines. All of our techniques are strictly "white hat." This means our links are created cleanly and manually without using submission software. With the new algorithm updates Google and other major search engines have recently released, sites with “spammy” links are being penalized; often dropping from search engines completely. This could be detrimental for a business owner that has worked countless hours to create engaging and relevant content. Many people believe SEO to be some sort of black magic or locked away trade secret that only rich internet Mongols use. Well, the simple fact is this; properly structuring your website using Google Webmaster’s best practices produce quality and relevant content that is useful to the people making the search query, creating quality back-links relevant to your niche, and with some excellent keyword research you can achieve awesome results. Like anything, SEO takes hard work and dedication. At Kalifeh Media Group, we love what we do. We have a team of SEO professionals, local to you, that can answer any questions you may have. All of our practices are completely transparent and we create reports each and every month to track our progress. This way you can focus on what you do best, and let KMG do the rest. NEED PROOF? No problem. Head over to Google and type in "seo agencies mobile al". Here you will see not one but two listings for our company right there in black and white. Could your company benefit from this type of visibility? The answer is YES! There is not a business that wouldn't. Give one of our friendly SEO Experts a call today. We will be happy to talk with you about any questions you may have. 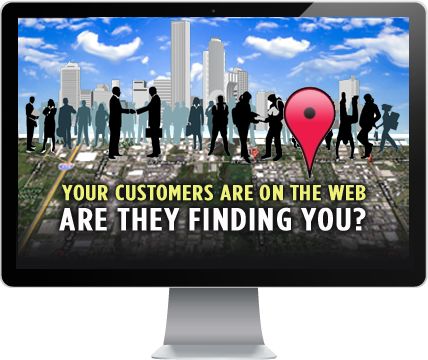 Local SEO can prove vitally important for business owners offering a local store front or service. Whether you are a coffee shop or a construction company, local SEO can greatly impact all of your marketing efforts! Call an SEO Expert Now! Local SEO can prove viatally important for local business owners offering a local store front or service. Whether you are a coffee shop of a local construction company, local SEO can greatly impact all of your marketing efforts!